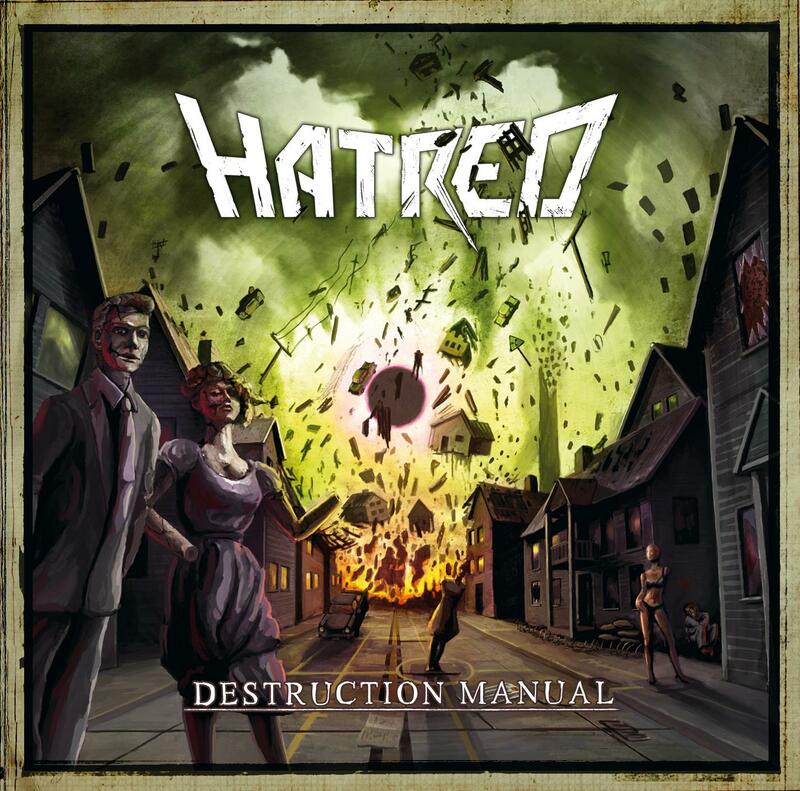 HATRED is going to release the CD "Destruction Manual" via SAOL. The name of the album can be taken literally, it will be diversified and banging in mercilessly. The thrashers from Schweinfurth, Germany want to proceed their big success with this album. After the release of their album „Madhouse Symphonies“ in 2008, in 2009 they were the very first band which played at the Desert Rock Festival in Dubai and won the „Brütal Legend Song“ contest. Consequently, their song „We Are The Moshcrew“ became the games’ official theme song. Eleven Thrash songs played by Bacchus (voc), Maddin (guitar), Kört (guitar), Hudson (bass) and Evil Ewald (drums) are waiting for you. Here is the new sound of German oldschool Thrash!